A-HOTEL.com - Luxury and cheap accommodation in Dydyldino, Russia. Prices and hotel, apartment booking in Dydyldino and surrounding. 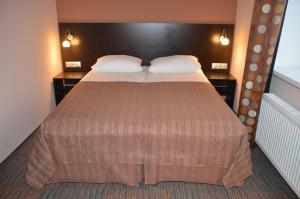 Hotel Malvida provides free WiFi and rooms with air conditioning in Vidnoye. The accommodation features a 24-hour front desk and room service for guests. 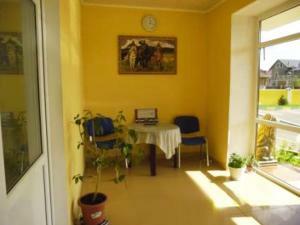 Providing a shared lounge and free WiFi, Apart Mary features accommodation in Vidnoye. The units have a fully equipped kitchenette with dining area, a microwave, kettle, and a toaster. Hotel Central is offering accommodation in Vidnoye. Among the various facilities of this property are a garden and a terrace. Set in Vidnoye, Vita Hotel provides a bar and free WiFi. Featuring a 24-hour front desk, this property also welcomes guests with a restaurant and a children's playground. Offering free WiFi and garden views, Apartment on Bittsevskiy Proyezd is an accommodation situated in Vidnoye. The property features city views. Visit Center Gorki Leninskie is set in Gorki-Leninskiye, 29 km from Moscow on the territory of the natural reserve. Guests can enjoy the on-site restaurant. Alians Hotel is located in the Moscow region, in the town of Vidnoye. It features bright rooms, and the reception works 24 hours a day. A free Wi-Fi and airport shuttle, an indoor pool and a sauna are offered at this hotel in Domodedovo. Each spacious room includes a flat-screen TV, kettle and minibar. Gorki Apartments Domodedovo offers an accommodation in Gorki-Leninskiye. Moscow Ring Road is 10 km away. Providing free WiFi, Usad`ba Park Hotel is set in Vidnoye. The property features a 24-hour front desk. Fat Cat Hotel Domodedovo is located 10 km from the M5 motorway, providing a direct connection to Moscow city centre. Guests can enjoy free Wi-Fi and free airport shuttle to Domodedovo Airport, 15 minutes' drive away. Гостевой дом Пахра is located in Novosyanovo and features a garden. Both private parking and free WiFi are accessible on site. Located within a 15-minute drive of Domodedovo International Airport, Zamok Domodedovo Hotel offers an indoor pool and a sauna. Free WiFi is available on site. Pilot Guest House is located in Starosyanovo Village, within a 15-minute drive of Domodedovo International Airport, and free shuttle service is provided. Free Wi-Fi is available in all areas. Featuring free WiFi throughout the property, Hotel GH AurorA Domodedovo offers accommodation in Korobovo, 7 km from Moscow. Free private parking is available on site.